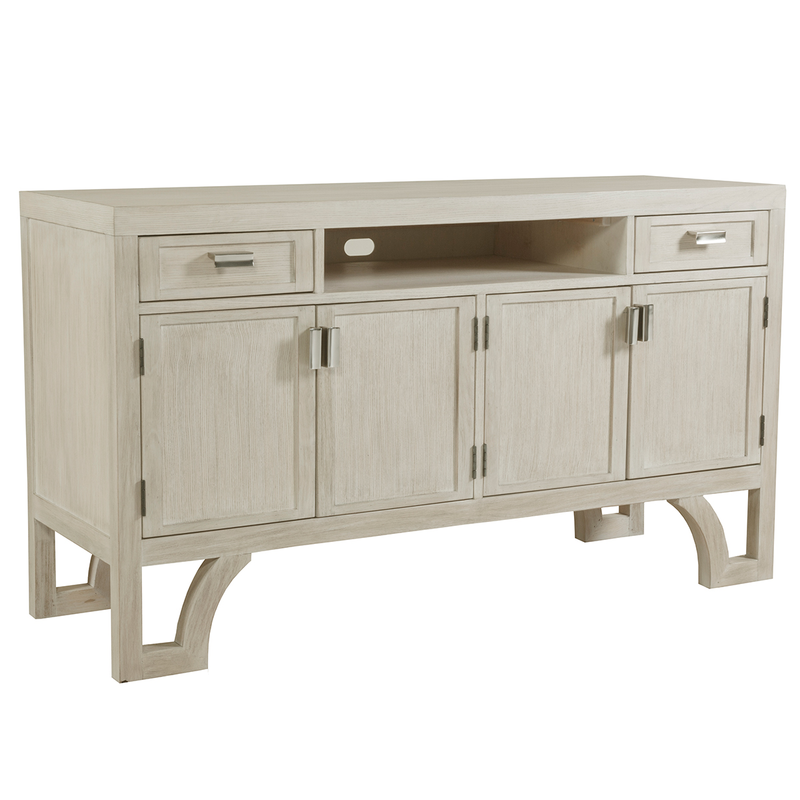 Give your den a seaside update with the Fog Entertainment Console Table. Crafted with a casual contemporary design featuring clean lines and a sleek profile with smooth polished nickel plated hardware, this console table makes a beautiful accent. 60 6/5"W x 20"D x 34"N; 59.5 lbs.